Scientists Can Build Things Out of...Viruses? Levitating Super Conductors! What Sorcery Is This? We spend a lot of time hating viruses. They give us colds and flus, and often make us feel miserable. But new developments from the University of California, Berkeley are making viruses work for us, not against us. The Berkeley research team used M13 bacteriophages as building blocks to create different types of materials. To do this, the researchers dipped a flat sheet of glass into a liquid containing the viruses and then slowly drew it out. By adjusting the concentration of the viruses and the speed at which the glass was removed, the team was able to get the viruses to form films on the glass with unique structures. These structures included regularly spaced bands, helical ribbons or a "ramen-noodle-like" shapes, and they also had different functional properties. For instance, the "ramen-noodle-like" film could bend light. This approach takes a page out of nature's book. Many complex forms found in nature are actually built out of basic structural units such as the viruses used in this study. The researchers were actually trying to mimic collagen, a protein that forms the transparent tissue in our corneas, the blue skin tissue of the mandrill monkey, as well as our hard bones and teeth, all depending on how it is assembled. 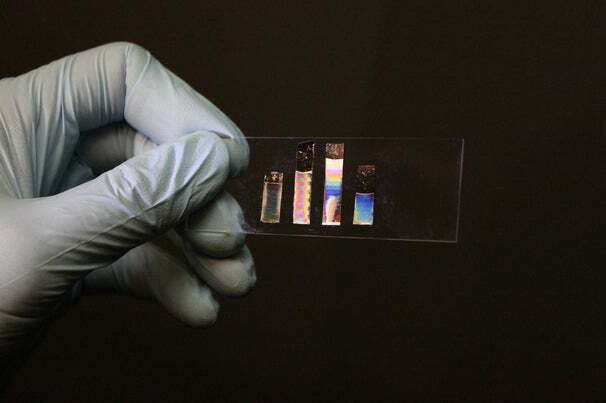 This technology has a lot of potential for biomedical applications. The researchers demonstrated that the viruses could be engineered to produce peptides that can bridge between the viruses and cells, such that the viral film guides the growth of the cells.This approach could even be used to regenerate tissues.